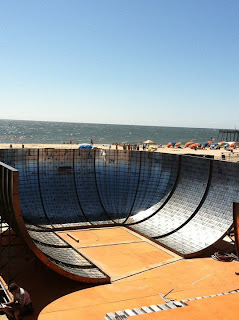 isTia has teamed up with Lee Leal from Embassy Skateboards to give you the latest news and pix from Ocean City Commotion Down The Ocean Bowl contest. Be prepared to see sick pix from The Pineiro's Bros, Craig Johnson & John Gibson and many more. 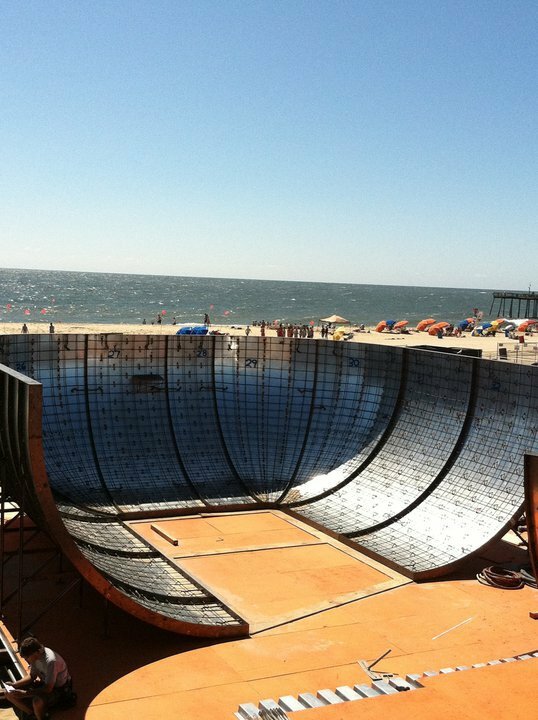 That contest will be awesome and the bowl is already looking like one rad and gnarly sick place to skate. Wish we were all there… Embassy is in the house, keep it real Lee!! Stay tuned for practice pictures tomorrow from the Dew Bowl in Ocean City. 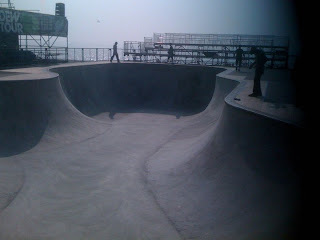 Steven Pineiro rippin' it up on the huge Dew Tour bowl..